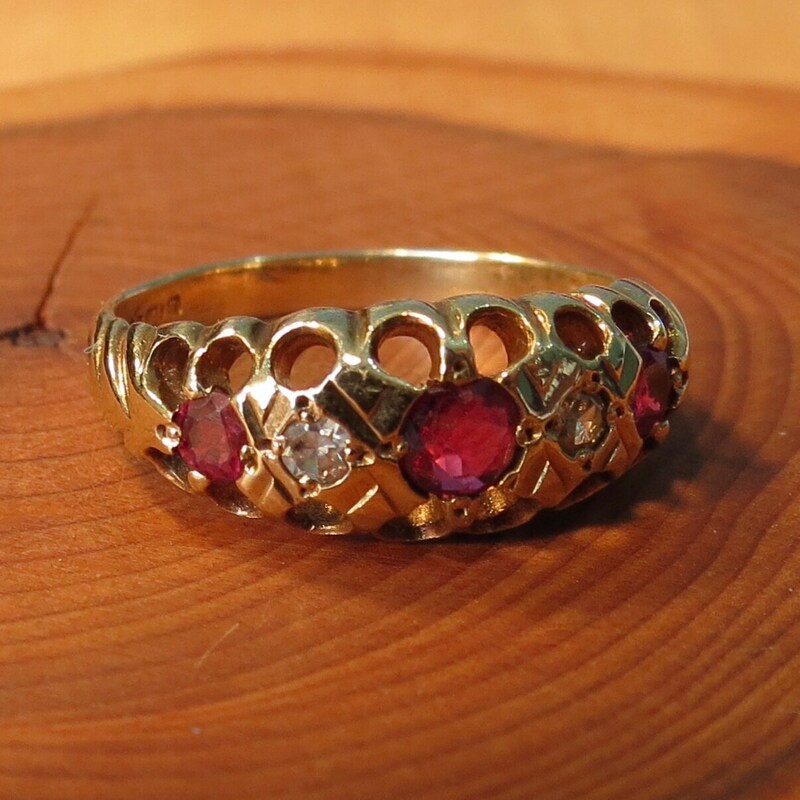 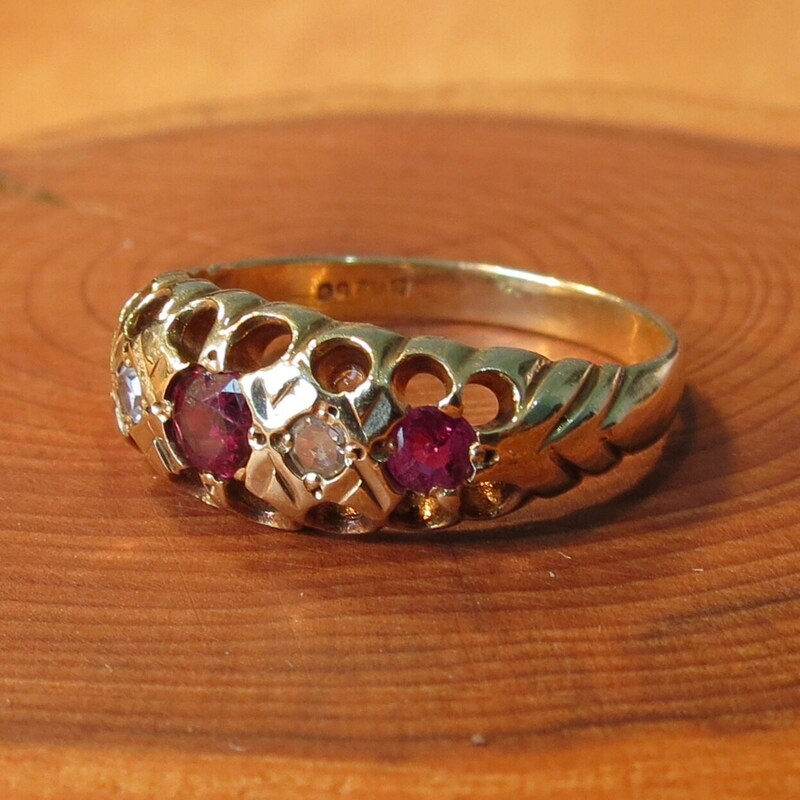 A vintage 9K yellow gold diamond and ruby ring. 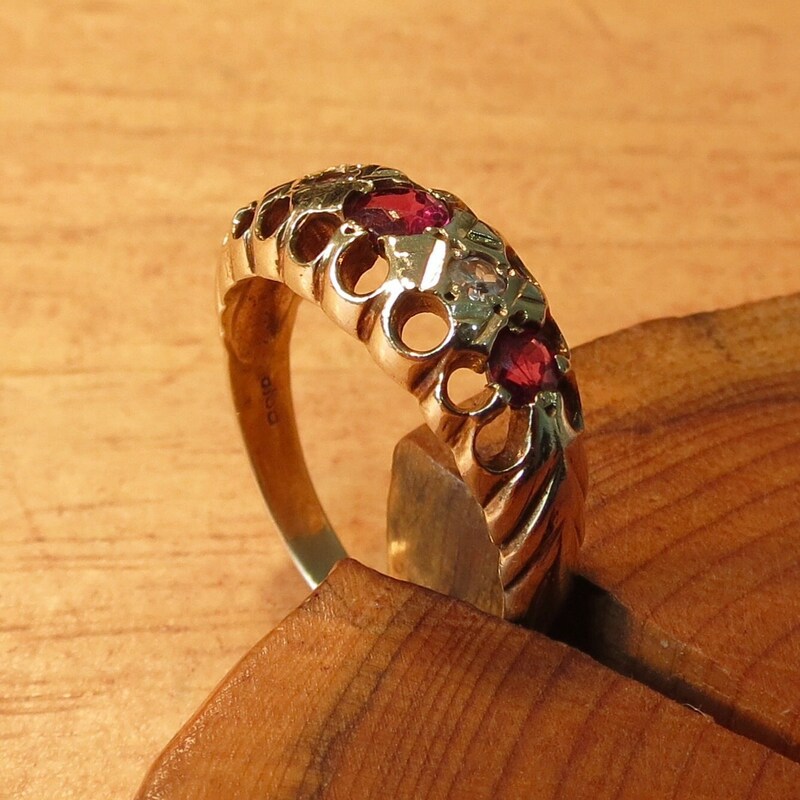 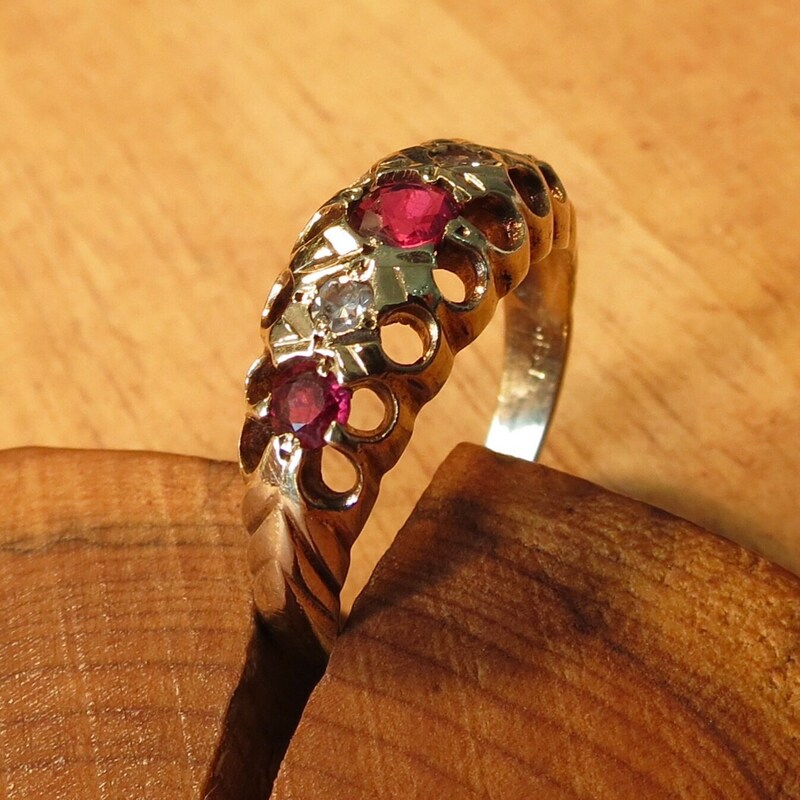 This 9K yellow gold ring has two brilliant cut diamonds and three round cut rubies mounted in a classic old English wide claw setting, the shoulders are chevron decorated on a wide band and shank. 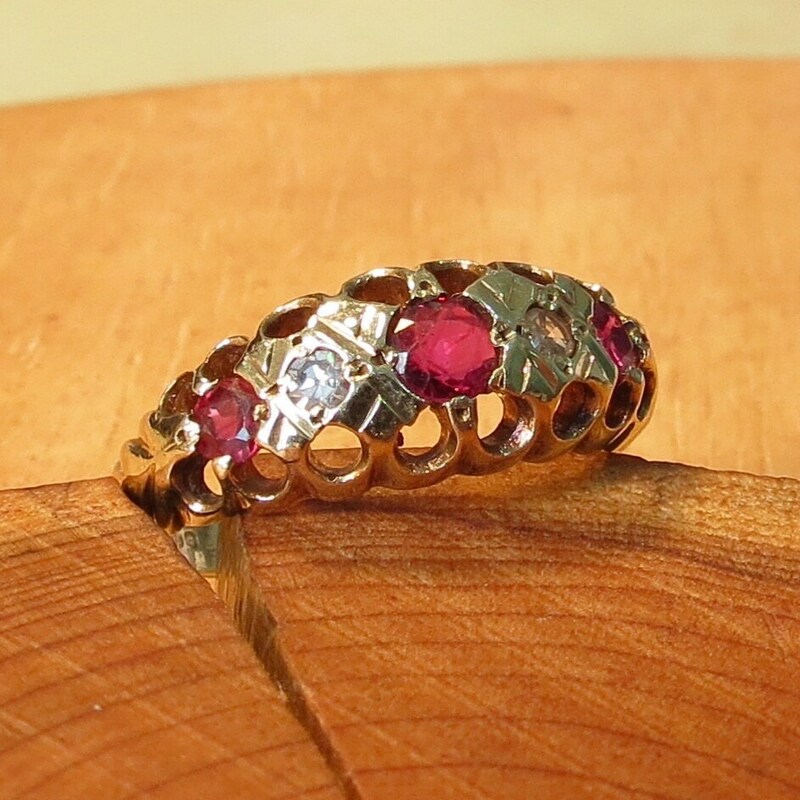 This style is sometimes referred to as a "Old Victorian"